Today, the New York Stem Cell Foundation (NYSCF) Research Institute and PersonalGenomes.org announced a partnership to identify genetic and environmental contributions to trait and disease development. Cell lines generated by NYSCF will complement genomic data and medical histories contributed by participants in the Harvard Personal Genome Project (PGP), creating a unique and powerful resource to help researchers identify causes of disease. "Mapping human genetics has laid the groundwork for personalized medicine to tailor treatments to patients on a level not previously achievable. And, now with stem cells, we can take this a step further: we can test and refine drugs on a patient's actual diseased cells," said Susan L. Solomon, CEO of NYSCF. "Our challenge, going forward, is to leverage the tremendous amount of information from the PGP as the world's only open access source of human genome, microbiome and disease data into a resource for testing causes and cures. We are using PGP stem cells for studying human mutations, gene editing therapies, and novel transplantation methods. That is why we see such value in the integration of these new stem cell technologies through this partnership with NYSCF," said George Church, PhD, Professor of Genetics Harvard Medical School and Founder of the PGP. To achieve this goal, NYSCF scientists will generate stem cell lines from skin samples of participants in the Harvard PGP. These cell lines can then be studied and compared to data gathered by the PGP including whole genomes, medical histories, body microbiomes and hundreds of other traits from over 3,000 participants. This tool will help achieve the joint goal of "functionalizing" personal genetics for all individuals, meaning using personal genetic information to make informed medical and health decisions. In 2001, the Human Genome Project (HGP) finished the first draft of the human genome, sequencing most of the 3 billion base pairs that compose human DNA. This took over ten years and cost nearly $3 billion. Today, human genome sequencing is higher quality and can be completed in a day for a little over $1000 enabling researchers an unprecedented look at the building blocks of both normal development and disease. To additionally speed up the pace of discovery, the PGP developed the open consent framework which enables research studies to make genetic and medical data freely available online to the public and for researchers to analyse and begin to tie underlying genetic patterns or sequences to the development of traits and diseases. 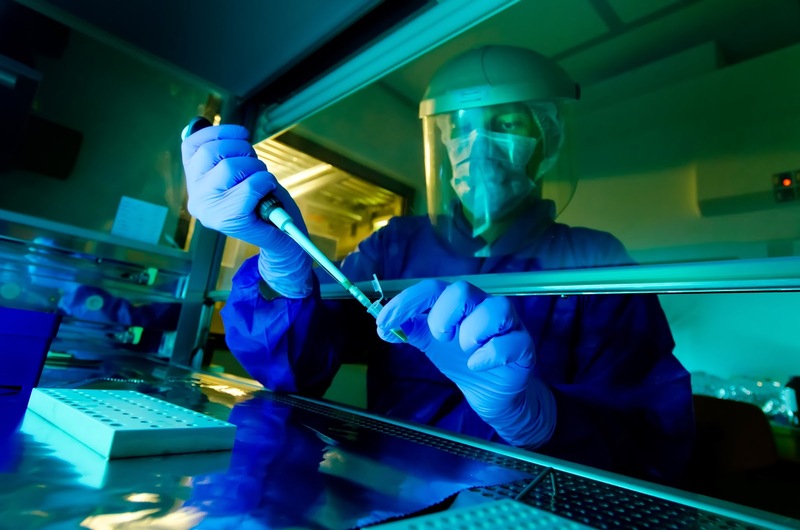 Similarly, NYSCF makes cell lines available to researchers in its efforts to find treatments and cures for disease. Initially, 50 PGP participants will donate skin samples for generation of induced pluripotent stem (iPS) cell lines, which are genetically matched, self-renewing cells that can become any of the body's cell types. Clinicians at dermatology clinics will perform a punch biopsy, a minor procedure to obtain a skin sample, on consenting participants. These skin samples are then sent to the NYSCF Research Institute, where scientists will derive iPS cells using the NYSCF Global Stem Cell Array™, a novel robotic technology that automates the generation of iPS cell lines. Unlike traditional, by-hand methods to procure stem cells, the Array create standardized, quality controlled cells, enabling scientists to compare stem cells from different participants. NYSCF scientists will take these iPS cells and derive different adult cell types of interest for research investigations. These cells, which reflect the participants' genetics, provide a powerful tool to study how genetic differences between people can affect disease development and trait expression. Additionally, NYSCF will make these cells available to the broader scientific community through the NYSCF repository. "Overlaid with medical data, these stem cell models provide a more complete picture of each participant, effectively functionalizing stem cell technology," said Scott Noggle, PhD, Director of the NYSCF Laboratory and NYSCF – Charles Evans Senior Research Fellow for Alzheimer's Disease. Dach1 in red). Credit: Jerome Mertens/Uni. Why do certain Alzheimer medications work in animal models but not in clinical trials in humans? A research team from the University of Bonn and the biomedical enterprise LIFE & BRAIN GmbH has been able to show that results of established test methods with animal models and cell lines used up until now can hardly be translated to the processes in the human brain. Drug testing should therefore be conducted with human nerve cells, conclude the scientists. The results are published by Cell Press in the journal Stem Cell Reports. In the brains of Alzheimer patients, deposits forms that consists essentially of beta-amyloid and are harmful to nerve cells. Scientists are therefore searching for pharmaceutical compounds that prevent the formation of these dangerous aggregates. In animal models, certain non-steroidal anti-inflammatory drugs (NSAIDs) were found to a reduced formation of harmful beta-amyloid variants. Yet, in subsequent clinical studies, these NSAIDs failed to elicit any beneficial effects. "The reasons for these negative results have remained unclear for a long time", says Prof. Dr. Oliver Brüstle, Director of the Institute for Reconstructive Neurobiology of the University of Bonn and CEO of LIFE & BRAIN GmbH. "Remarkably, these compounds were never tested directly on the actual target cells – the human neuron", adds lead author Dr. Jerome Mertens of Prof. Brüstle's team, who now works at the Laboratory of Genetics in La Jolla (USA). This is because, so far, living human neurons have been extremely difficult to obtain. However, with the recent advances in stem cell research it has become possible to derive limitless numbers of brain cells from a small skin biopsy or other adult cell types. Now a research team from the Institute for Reconstructive Neurobiology and the Department of Neurology of the Bonn University Medical Center together with colleagues from the LIFE & BRAIN GmbH and the University of Leuven (Belgium) has obtained such nerve cells from humans. The researchers used skin cells from two patients with a familial form of Alzheimer's Disease to produce so-called induced pluripotent stem cells (iPS cells), by reprogramming the body's cells into a quasi-embryonic stage. They then transformed the resulting so-called "jack-of-all-trades cells" into nerve cells. Using these human neurons, the scientists tested several compounds in the group of non-steroidal anti-inflammatory drugs. As control, the researchers used nerve cells they had obtained from iPS cells of donors who did not have the disease. Both in the nerve cells obtained from the Alzheimer patients and in the control cells, the NSAIDs that had previously tested positive in the animal models and cell lines typically used for drug screening had practically no effect. The values for the harmful beta-amyloid variants that form the feared aggregates in the brain remained unaffected when the cells were treated with clinically relevant dosages of these compounds. "In order to predict the efficacy of Alzheimer drugs, such tests have to be performed directly on the affected human nerve cells", concludes Prof. Brüstle's colleague Dr. Philipp Koch, who led the study. Why do NSAIDs decrease the risk of aggregate formation in animal experiments and cell lines but not in human neurons? The scientists explain this with differences in metabolic processes between these different cell types. "The results are simply not transferable", says Dr. Koch. The scientists now hope that in the future, testing of potential drugs for the treatment of Alzheimer's disease will be increasingly conducted using neurons obtained from iPS cells of patients. "The development of a single drug takes an average of ten years", says Prof. Brüstle. "By using patient-specific nerve cells as a test system, investments by pharmaceutical companies and the tedious search for urgently needed Alzheimer medications could be greatly streamlined". 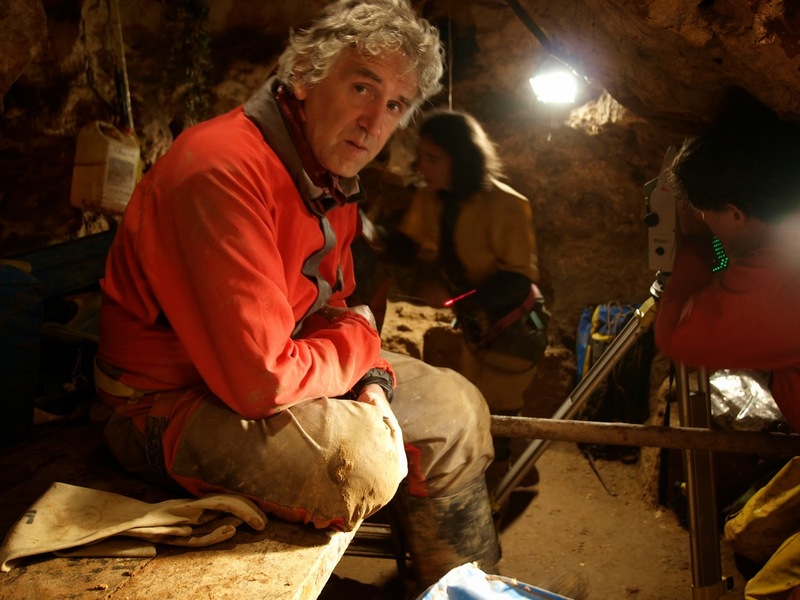 Using novel techniques to extract and study ancient DNA researchers at the Max Planck Institute for Evolutionary Anthropology in Leipzig, Germany, have determined an almost complete mitochondrial genome sequence of a 400,000-year-old representative of the genus Homo from Sima de los Huesos, a unique cave site in Northern Spain, and found that it is related to the mitochondrial genome of Denisovans, extinct relatives of Neanderthals in Asia. DNA this old has until recently been retrieved only from the permafrost. Sima de los Huesos (SH), the "bone pit", is a cave site in Northern Spain that has yielded the world's largest assembly of Middle Pleistocene hominine fossils, consisting of at least 28 skeletons, which have been excavated and pieced together over the course of more than two decades by a Spanish team of palaeontologists led by Juan-Luis Arsuaga. The fossils are classified as Homo heidelbergensis but also carry traits typical of Neanderthals. Until now it had not been possible to study the DNA of these unique hominines. Matthias Meyer at work in the clean lab. Matthias Meyer and his team from the Max Planck Institute for Evolutionary Anthropology in Leipzig, Germany, have developed new techniques for retrieving and sequencing highly degraded ancient DNA. They then joined forces with Juan-Luis Arsuaga and applied the new techniques to a cave bear from the Sima de los Huesos site. After this success, the researchers sampled two grams of bone powder from a hominine thigh bone from the cave. They extracted its DNA and sequenced the genome of the mitochondria or mtDNA, a small part of the genome that is passed down along the maternal line and occurs in many copies per cell. The researchers then compared this ancient mitochondrial DNA with Neanderthals, Denisovans, present-day humans, and apes. From the missing mutations in the old DNA sequences the researchers calculated that the Sima hominine lived about 400,000 years ago. They also found that it shared a common ancestor with the Denisovans, an extinct archaic group from Asia related to the Neanderthals, about 700,000 years ago. "The fact that the mtDNA of the Sima de los Huesos hominine shares a common ancestor with Denisovan rather than Neanderthal mtDNAs is unexpected since its skeletal remains carry Neanderthal-derived features", says Matthias Meyer. 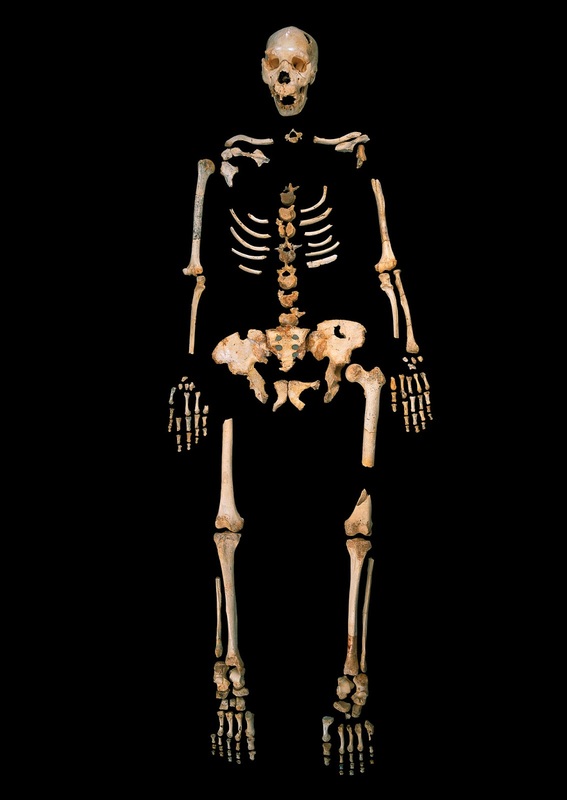 Considering their age and Neanderthal-like features, the Sima hominines were likely related to the population ancestral to both Neanderthals and Denisovans. Another possibility is that gene flow from yet another group of hominines brought the Denisova-like mtDNA into the Sima hominines or their ancestors. "Our results show that we can now study DNA from human ancestors that are hundreds of thousands of years old. This opens prospects to study the genes of the ancestors of Neanderthals and Denisovans. It is tremendously exciting" says Svante Pääbo, director at the Max Planck Institute for Evolutionary Anthropology. "This unexpected result points to a complex pattern of evolution in the origin of Neanderthals and modern humans. I hope that more research will help clarify the genetic relationships of the hominines from Sima de los Huesos to Neanderthals and Denisovans" says Juan-Luis Arsuaga, director of the Center for Research on Human Evolution and Behaviour. The researchers are now pursuing this goal by focusing on retrieving DNA from more individuals from this site and on retrieving also nuclear DNA sequences. For the first time, scientists have succeeded in transforming human stem cells into functional lung and airway cells. 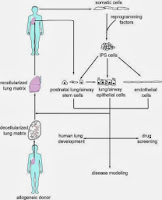 The advance, reported by Columbia University Medical Center (CUMC) researchers, has significant potential for modelling lung disease, screening drugs, studying human lung development, and, ultimately, generating lung tissue for transplantation. The study was published today in the journal Nature Biotechnology. generation of lung tissue for transplantation. "Researchers have had relative success in turning human stem cells into heart cells, pancreatic beta cells, intestinal cells, liver cells, and nerve cells, raising all sorts of possibilities for regenerative medicine," said study leader Hans-Willem Snoeck, MD, PhD, professor of medicine (in microbiology & immunology) and affiliated with the Columbia Center for Translational Immunology and the Columbia Stem Cell Initiative. "Now, we are finally able to make lung and airway cells. This is important because lung transplants have a particularly poor prognosis. Although any clinical application is still many years away, we can begin thinking about making autologous lung transplants — that is, transplants that use a patient's own skin cells to generate functional lung tissue." "No one knows what causes the disease, and there's no way to treat it," says Dr. Snoeck. "Using this technology, researchers will finally be able to create laboratory models of IPF, study the disease at the molecular level, and screen drugs for possible treatments or cures." "In the longer term, we hope to use this technology to make an autologous lung graft," Dr. Snoeck said. "This would entail taking a lung from a donor; removing all the lung cells, leaving only the lung scaffold; and seeding the scaffold with new lung cells derived from the patient. In this way, rejection problems could be avoided." Dr. Snoeck is investigating this approach in collaboration with researchers in the Columbia University Department of Biomedical Engineering. 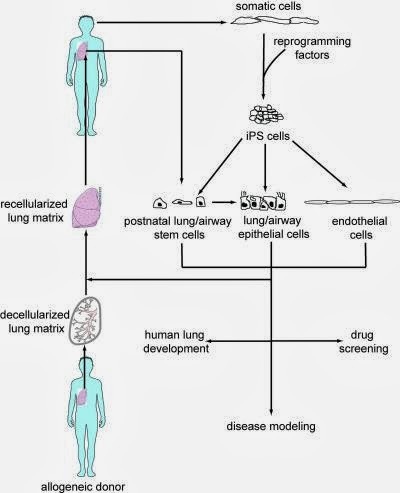 "I am excited about this collaboration with Hans Snoeck, integrating stem cell science with bioengineering in the search for new treatments for lung disease," said Gordana Vunjak-Novakovic, co-author of the paper and Mikati Foundation Professor of Biomedical Engineering at Columbia's Engineering School and professor of medical sciences at Columbia University College of Physicians and Surgeons. 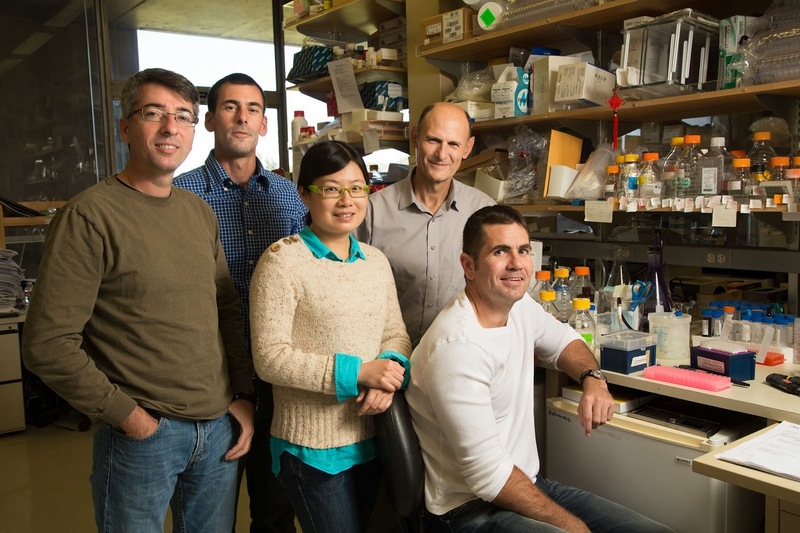 Now, a team of researchers led by scientists at the Salk Institute for Biological Studies has developed a novel platform to study kidney diseases, opening new avenues for the future application of regenerative medicine strategies to help restore kidney function. For the first time, the Salk researchers have generated three-dimensional kidney structures from human stem cells, opening new avenues for studying the development and diseases of the kidneys and to the discovery of new drugs that target human kidney cells. The findings were reported November 17 in Nature Cell Biology. Scientists had created precursors of kidney cells using stem cells as recently as this past summer, but the Salk team was the first to coax human stem cells into forming three-dimensional cellular structures similar to those found in our kidneys. "Attempts to differentiate human stem cells into renal cells have had limited success," says senior study author Juan Carlos Izpisua Belmonte, a professor in Salk's Gene Expression Laboratory and holder of the Roger Guillemin Chair. "We have developed a simple and efficient method that allows for the differentiation of human stem cells into well-organized 3D structures of the ureteric bud (UB), which later develops into the collecting duct system." techniques for growing replacement human kidneys. Credit: Salk Institute for Biological Studies. 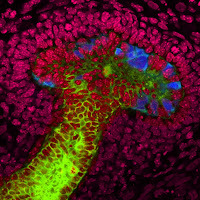 The Salk findings demonstrate for the first time that pluripotent stem cells (PSCs)-cells capable of differentiating into the many cells and tissue types that make up the body-can made to develop into cells similar to those found in the ureteric bud, an early developmental structure of the kidneys, and then be further differentiated into three-dimensional structures in organ cultures. UB cells form the early stages of the human urinary and reproductive organs during development and later develop into a conduit for urine drainage from the kidneys. The scientists accomplished this with both human embryonic stem cells and induced pluripotent stem cells (iPSCs), human cells from the skin that have been reprogrammed into their pluripotent state. After generating iPSCs that demonstrated pluripotent properties and were able to differentiate into mesoderm, a germ cell layer from which the kidneys develop, the researchers made use of growth factors known to be essential during the natural development of our kidneys for the culturing of both iPSCs and embryonic stem cells. The combination of signals from these growth factors, molecules that guide the differentiation of stem cells into specific tissues, was sufficient to commit the cells toward progenitors that exhibit clear characteristics of renal cells in only four days. The researchers then guided these cells to further differentiate into organ structures similar to those found in the ureteric bud by culturing them with kidney cells from mice. This demonstrated that the mouse cells were able to provide the appropriate developmental cues to allow human stem cells to form three-dimensional structures of the kidney. In addition, Izpisua Belmonte's team tested their protocol on iPSCs from a patient clinically diagnosed with polycystic kidney disease (PKD), a genetic disorder characterized by multiple, fluid-filled cysts that can lead to decreased kidney function and kidney failure. They found that their methodology could produce kidney structures from patient-derived iPSCs. Because of the many clinical manifestations of the disease, neither gene- nor antibody-based therapies are realistic approaches for treating PKD. The Salk team's technique might help circumvent this obstacle and provide a reliable platform for pharmaceutical companies and other investigators studying drug-based therapeutics for PKD and other kidney diseases. "Our differentiation strategies represent the cornerstone of disease modelling and drug discovery studies," says lead study author Ignacio Sancho-Martinez, a research associate in Izpisua Belmonte's laboratory. "Our observations will help guide future studies on the precise cellular implications that PKD might play in the context of kidney development." A study led by researchers at the University of California, San Diego School of Medicine shines a new light on molecular tools our cells use to govern regulated gene expression. The study was published on line in advance of print November 10 in the journal Nature Structural and Molecular Biology. "We uncovered a novel mechanism that allows proteins that direct pre-mRNA splicing – RNA-binding proteins – to induce a regulatory effect from greater distances than was thought possible," said first author Michael T. Lovci, of the Department of Cellular and Molecular Medicine, the Stem Cell Research Program and Institute for Genomic Medicine at UC San Diego. Researchers from California, Oregon, Singapore and Brazil made this finding while working toward an understanding of the most basic signals that direct cell function. According to Lovci, the work broadens the scope that future studies on the topic must consider. More importantly, it expands potential targets of rationally designed therapies which could correct molecular defects through genetic material called antisense RNA oligonucleotides (ASOs). "This study provides answers for a decade-old question in biology," explained principal investigator Gene Yeo, PhD, assistant professor of Cellular and Molecular Medicine, member of the Stem Cell Research Program and Institute for Genomic Medicine at UC San Diego, as well as with National University of Singapore. "When the sequence of the human genome was fully assembled, under a decade ago, we learned that less than 3 percent of the entire genome contains information that encodes for proteins. This posed a difficult problem for genome scientists – what is the other 97 percent doing?" The role of the rest of the genome was largely a mystery and was thus referred to as "junk DNA." Since then sequencing of other, non-human, genomes has allowed scientists to delineate the sequences in the genome that are remarkably preserved across hundreds of millions of years of evolution. It is widely accepted that this evidence of evolutionary constraint implies that, even without coding for protein, certain segments of the genome are vital for life and development. Using this evolutionary conservation as a benchmark, scientists have described varied ways cells use these non-protein-coding regions. For instance, some exist to serve as DNA docking sites for proteins which activate or repress RNA transcription. Others, which were the focus of this study, regulate alternative mRNA splicing. Eukaryotic cells use alternative pre-mRNA splicing to generate protein diversity in development and in response to the environment. By selectively including or excluding regions of pre-mRNAs, cells make on average ten versions of each of the more than 20,000 genes in the genome. RNA-binding proteins are the class of proteins most closely linked to these decisions, but very little is known about how they actually perform their roles in cells. "For most genes, protein-coding space is distributed in segments on the scale of islands in an ocean," Lovci said. "RNA processing machinery, including RNA-binding proteins, must pick out these small portions and accurately splice them together to make functional proteins. Our work shows that not only is the sequence space nearby these 'islands' important for gene regulation, but that evolutionarily conserved sequences very far away from these islands are important for coordinating splicing decisions." Since this premise defies existing models for alternative splicing regulation, whereby regulation is enacted very close to protein-coding segments, the authors sought to define the mechanism by which long-range splicing regulation can occur. They identified RNA structures – RNA that is folded and base-paired upon itself – that exist between regulatory sites and far-away protein-coding "islands." Dubbing these types of interactions "RNA-bridges" for their capacity to link distant regulators to their targets, the authors show that this is likely a common and under-appreciated mechanism for regulation of alternative splicing. These findings have foreseeable implications in the study of biomedicine, the researchers said, as the RNA-binding proteins on which they focused – RBFOX1 and RBFOX2 – show strong associations with neurodevelopmental disorders, such as autism and also certain cancers. Since these two proteins act upstream of a cascade of effects, understanding how they guide alternative splicing decisions may lead to advancements in targeted therapies which correct the inappropriate splicing decisions that underlie many diseases. 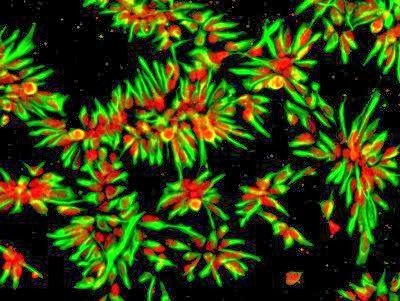 Scientists from the New York Stem Cell Foundation (NYSCF) Research Institute and Columbia University Medical Center (CUMC) have used stem cells created from the skin of patients with a rare form of diabetes — Wolfram syndrome — to elucidate an important biochemical pathway for beta-cell failure in diabetes. The findings by Linshan Shang and colleagues were published today in Diabetes. 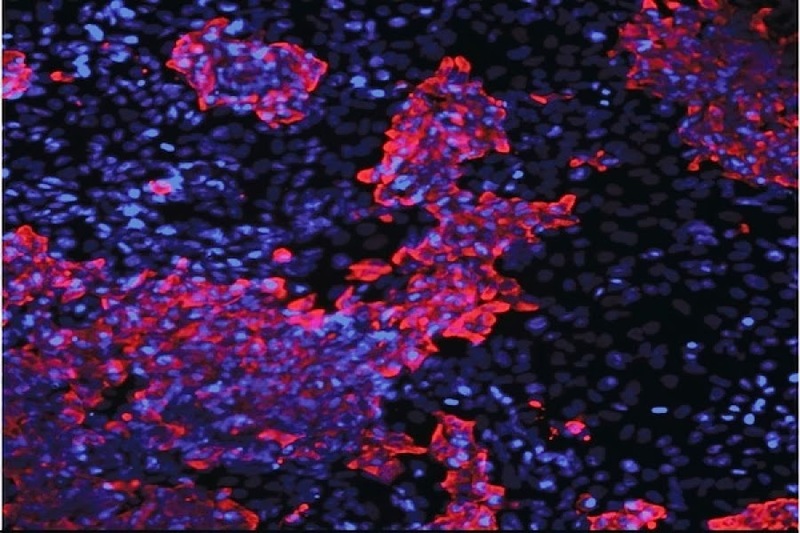 Scientists from NYSCF produced induced pluripotent stem (iPS) cells from skin samples from individuals with a rare form of diabetes, Wolfram syndrome. They then derived insulin-producing cells (beta cells) from these iPS cells, creating a human diabetes model in vitro. Next, they showed that the beta cells failed to normally secrete insulin because of protein-folding — or endoplasmic reticulum (ER) — stress. They found that a chemical, 4-phenyl butyric acid, that relieves this stress, prevents the cells from failing, suggesting a potential target for clinical intervention. "These cells represent an important mechanism that causes beta-cell failure in diabetes. This human iPS cell model represents a significant step forward in enabling the study of this debilitating disease and the development of new treatments," said Dieter Egli, PhD, principal investigator of the study, and Senior Research Fellow at NYSCF and NYSCF–Robertson Stem Cell Investigator. Wolfram syndrome is a rare, often fatal genetic disorder characterized by the development of insulin-dependent diabetes, vision loss, and deafness. Since all forms of diabetes are ultimately the result of an inability of pancreatic beta cells to provide sufficient insulin in response to blood sugar concentrations, this Wolfram patient stem cell model enables analysis of a specific pathway leading to beta-cell failure in more prevalent forms of diabetes. It also enables the testing of strategies to restore beta-cell function that may be applicable to all types of diabetes. "Utilizing stem cell technology, we were able to study a devastating condition to better understand what causes the diabetes symptoms as well as discover possible new drug targets," said Susan L. Solomon, Co-Founder and Chief Executive Officer of The New York Stem Cell Foundation. "This report highlights again the utility of close examination of rare human disorders as a path to elucidating more common ones," said co-author Rudolph L. Leibel, MD, the Christopher J. Murphy Professor of Diabetes Research and co-director of the Naomi Berrie Diabetes Center at CUMC. "Our ability to create functional insulin-producing cells using stem cell techniques on skin cells from patients with Wolfram's syndrome has helped to uncover the role of ER stress in the pathogenesis of diabetes. The use of drugs that reduce such stress may prove useful in the prevention and treatment of diabetes." Clinicians from the Naomi Berrie Diabetes Center recruited Wolfram syndrome patients to donate a skin sample. All Wolfram patients had childhood-onset diabetes requiring treatment with injected insulin, and all had vision loss. Additional cell lines were obtained from Coriell Institute for Medical Research. The researchers at NYSCF "reprogrammed," or reverted, the skin cells to an embryonic-like state to become iPS cells. An iPS cell line generated from a healthy individual was used as a normal control. The researchers differentiated the iPS cells from the Wolfram subjects and the controls into beta cells, an intricate process that took several weeks. They implanted both Wolfram and control iPS cell-derived beta cells under the kidney capsule of immuno-compromised mice. Beta cells from the Wolfram subjects produced less insulin in the culture dish and secreted less insulin into the bloodstream of the mice when they were challenged with high blood-sugar levels. A key finding was that these beta cells showed elevated markers of ER stress. Treatment with 4-phenyl butyric acid reduced the ER stress and increased the amount of insulin produced by the beta cells, thereby increasing the ability to secrete insulin in response to glucose. Direct evidence in mice, as well as circumstantial evidence in humans with both type 1 and type 2 diabetes, highlights the role of the ER stress response mechanism in the survival of insulin-producing beta cells. The ER stress response mechanisms oppose both the stress of immune assault in type 1 diabetes and the metabolic stress of high blood glucose in both types of diabetes. When the ER stress response fails cell death occurs, potentially reducing the number of insulin-producing cells. other is reduced (right panel, nuclei in blue). Scientists at University of Copenhagen and University of Edinburgh have identified a core set of functionally relevant factors which regulates embryonic stem cells' ability for self-renewal. A key aspect is the protein Oct4 and how it makes stem cells stick together. The identification of these factors will be an important tool in devising better and safer ways of making specialised cells for future regenerative cell therapies for treatment of diseases like diabetes and Parkinson's disease. The results have just been published in the scientific journal Current Biology. Scientists have known that the protein Oct4 plays a key role in maintaining the embryonic stem cells in pure form by turning on stem cell genes, however up until now it has not been know which of the 8.000 or more possible genes that Oct4 can choose from actually support self-renewal. By comparing the evolution of stem cells in frogs, mice and humans, scientists at the Danish Stem Cell Center (DanStem) and the MRC Centre for Regenerative Medicine in Edinburgh have now been able to link the protein Oct4 with the ability of cells to stick together. They found that for embryonic stem cells to thrive they need to stick together and Oct4's role is to make sure they stay that way. "Embryonic stem cells can stay forever young unless they become grown-up cells with a specialised job in a process called differentiation. Our study shows that Oct4 prevents this process by pushing stem cells to stick to each other," says Dr Alessandra Livigni, Research Fellow at the University of Edinburgh. The research teams in Edinburgh and Copenhagen successfully identified 53 genes, out of more than 8.000 possible candidates that together with Oct4, functionally regulate cell adhesion. Almost like finding needles in a haystack the scientists have paved the way for a more efficient way of maintaining stem cells as stem cells. "Embryonic stem cells are characterized, among other things, by their ability to perpetuate themselves indefinitely and differentiate into all the cell types in the body – a trait called pluripotency. Though to be able to use them medically, we need to be able to maintain them as stem cells, until they're needed. When we want to turn a stem cell into a specific cell for example; an insulin producing beta cell, or a nerve cell like those in the brain, we'd like this process to occur accurately and efficiently. We cannot do this if we don't understand how to maintain stem cells as stem cells," says Professor Joshua Brickman from DanStem, University of Copenhagen. As well as maintaining embryonic stem cells in their pure state more effectively, this new insight will also enable scientists to more efficiently manipulate adult cells to revert to a stem cell like stage known as induced pluripotent stem cells (iPS cells). These cells have many of the same traits and characteristics as embryonic stem cells but can be derived from the patients to both help study degenerative disease and eventually treat them. 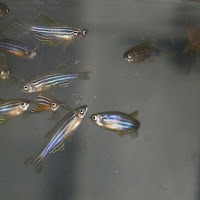 Zebrafish in Research Lab for Animal Testing. Harvard Stem Cell scientists have discovered that the same chemicals that stimulate muscle development in zebrafish can also be used to differentiate human stem cells into muscle cells in the laboratory, a historically challenging task that, now overcome, makes muscle cell therapy a more realistic clinical possibility. The work, published this week in the journal Cell, began with a discovery by Boston Children's Hospital researchers, led by Leonard Zon, MD, and graduate student Cong (Tony) Xu, who tested 2,400 different chemicals in cultures of zebrafish embryo cells to determine if any could increase the numbers of muscle cells formed. Using fluorescent reporter fish in which muscle cells were visible during their creation, the researchers found six chemicals that were very effective at promoting muscle formation. Zon shared his results with Harvard Department of Stem Cell and Regenerative Biology professor Amy Wagers, PhD, and Mohammadsharif Tabebordbar, a graduate student in her laboratory, who tested the six chemicals in mice. One of the six, called forskolin, was found to increase the numbers of muscle stem cells from mice that could be obtained when these cells were grown in laboratory dishes. Moreover, the cultured cells successfully integrated into muscle when transplanted back into mice. Inspired by the successful application of these chemicals in mice, Salvatore Iovino, PhD, a joint postdoctoral fellow in the Wagers lab and the lab of C. Ronald Kahn, MD, at the Joslin Diabetes Center, investigated whether the chemicals would also affect human cells and found that a combination of three chemicals, including forskolin, could induce differentiation of human induced pluripotent stem (iPS) cells, made by reprogramming skin cells. 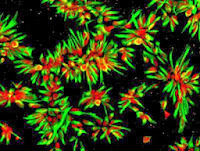 Exposure of iPS cells to these chemicals converted them into skeletal muscle, an outcome the Wagers and Kahn labs had been striving to achieve for years using conventional methods. When transplanted into a mouse, the human iPS-derived muscle cells also contributed to muscle repair, offering early promise that this protocol could provide a route to muscle stem cell therapy in humans. The interdisciplinary, cross-laboratory collaboration between Zon, Wagers, and Kahn highlights the advantage of open exchange between researchers. "If we had done this screen directly on human iPS cells, it would have taken at least 10 times as long and cost 100 times as much," said Wagers. "The zebrafish gave us a big advantage here because it has a fast generation time, rapid development, and can be easily and relatively cheaply screened in a culture dish." "This research demonstrates that over 300 million years of evolution, the pathways used in the fish are conserved through vertebrates all the way up to the human," said Wagers' fellow HSCRB professor Leonard Zon, chair of the Harvard Stem Cell Institute Executive Committee and director of the stem cell program at Boston Children's Hospital. "We can now make enough human muscle progenitors in a dish to allow us to model diseases of the muscle lineage, like Duchenne muscular dystrophy, conduct drug screens to find chemicals that correct that disease, and in the long term, efficiently transplant muscle stem cells into a patient." In a similar biomedical application, Kahn, who is chief academic officer at the Joslin, plans to apply the new ability to quickly produce muscle stem cells for diabetes research. His lab will generate iPS-derived muscle cells from people who are at risk for diabetes and people who have diabetes to identify alterations that lead to insulin resistance in the muscle. Going forward, Zon plans to apply this platform of cross-species discovery to other stem cell lines, including those involved in blood and eye development. "We have a new system to use to study tissue development, and it's not just muscle that can be studied, every single organ can be studied in the zebrafish system," he said.